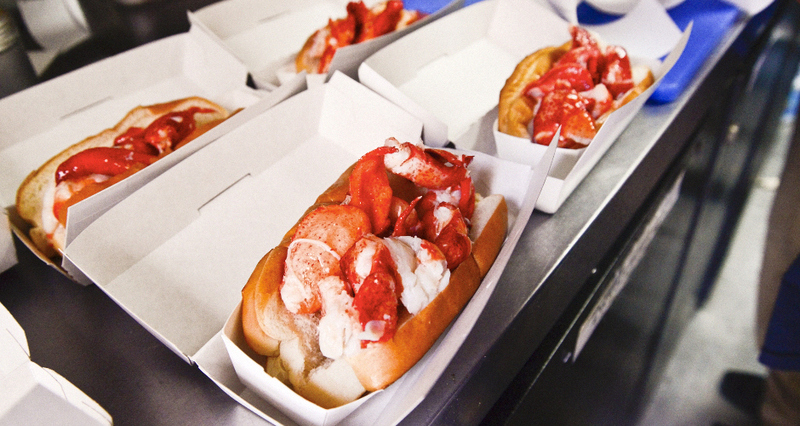 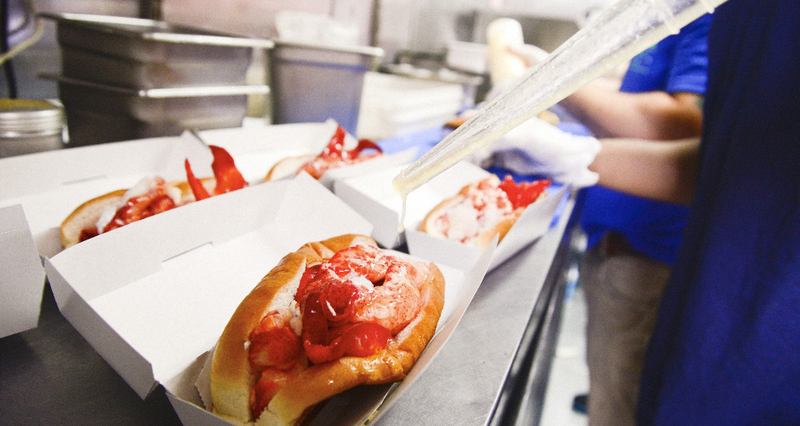 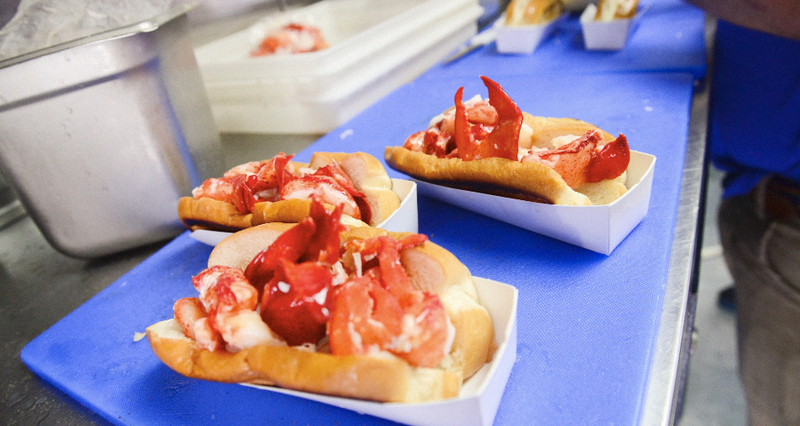 Photographer Liz Barclay captures a charitable lobster feast on the streets of New York. 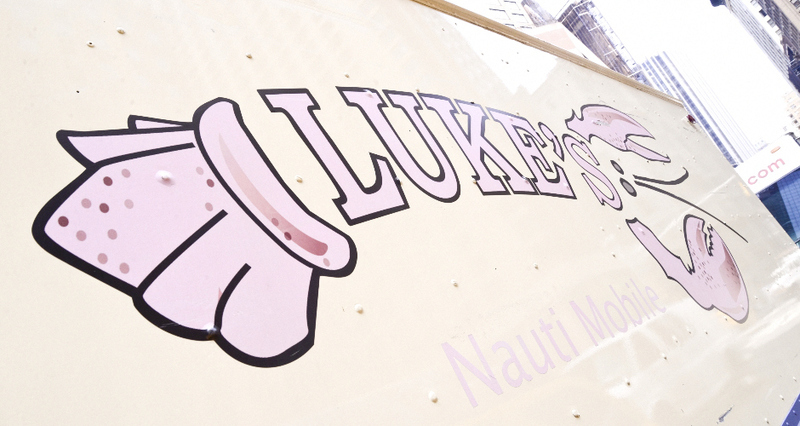 Rolling up to Luke’s Lobster stationed at 57th and Broadway, I expected to find the typically massive line snaking toward the popular food truck. 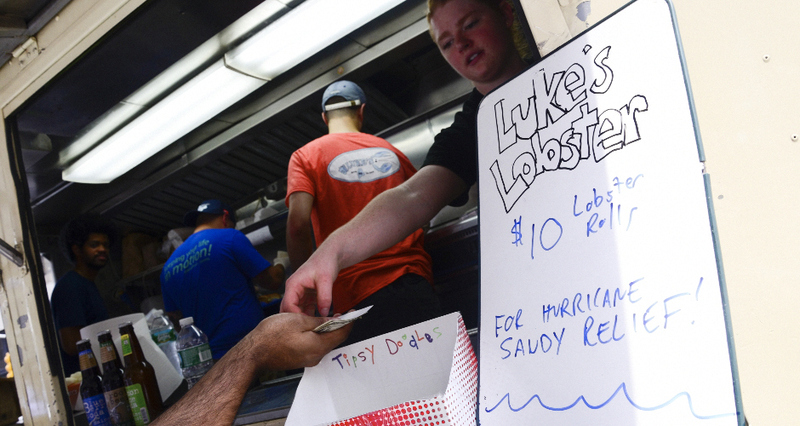 But on this particular Thursday, Luke’s was holding a special fundraiser in which all proceeds went to the Hurricane Sandy relief, and as a result the usual crowd had doubled in size—suddenly, waiting in line had become good Samaritan act, rather than simply a craving for buttery hunks of lobster. 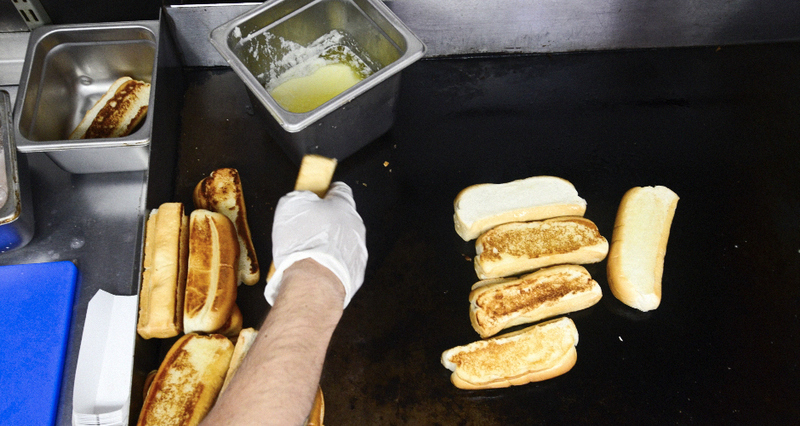 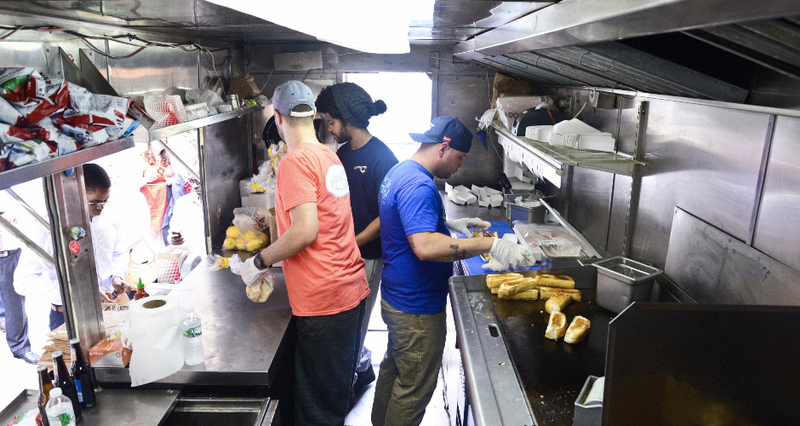 While folks waited patiently in their workwear attire, checking iPhones and chatting with coworkers, the vibe inside the truck was all hustle, with an assembly line process set up to bang out the orders. 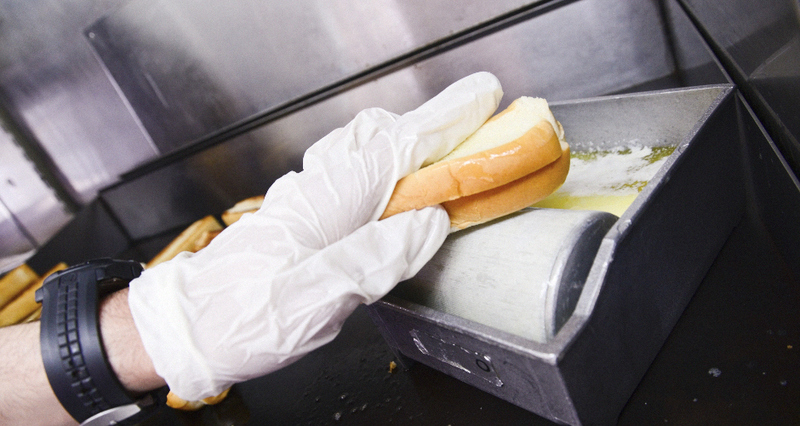 A girl worked the register while three guys manned the line: Guy #1 grilled and buttered the buns, Guy #2 stuffed them with bright red lobster, and Guy #3 dressed the rolls with mayo and a heavy dousing of butter. 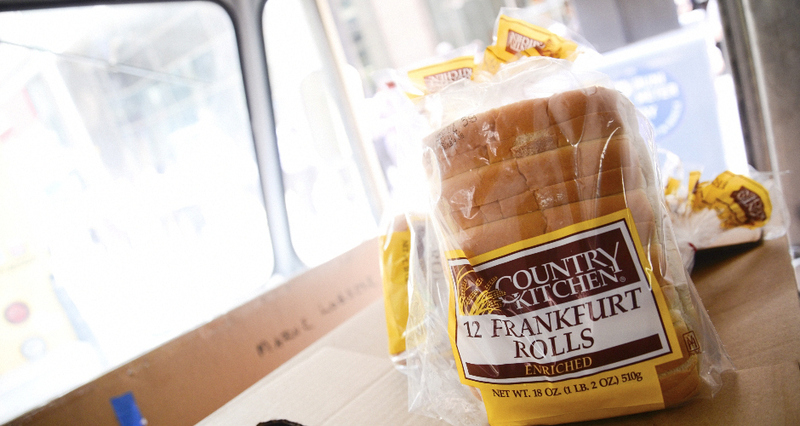 And off the rolls went, served out the window to eagerly awaiting customers, standing with hungry eyes, along with a bag of Cape Cod kettle chips and ginger beer. 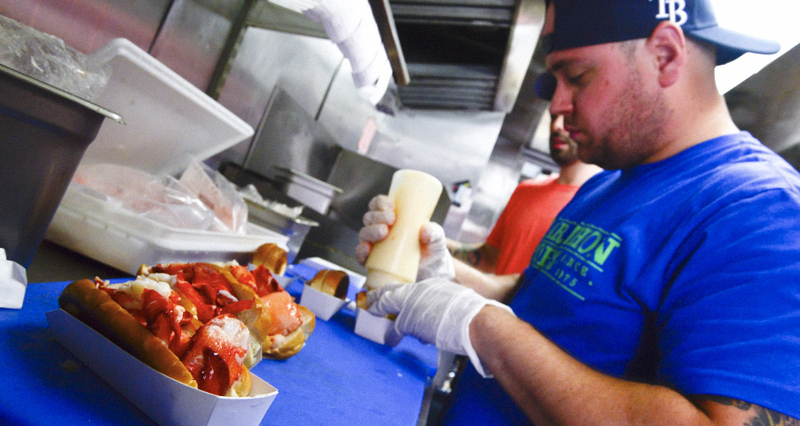 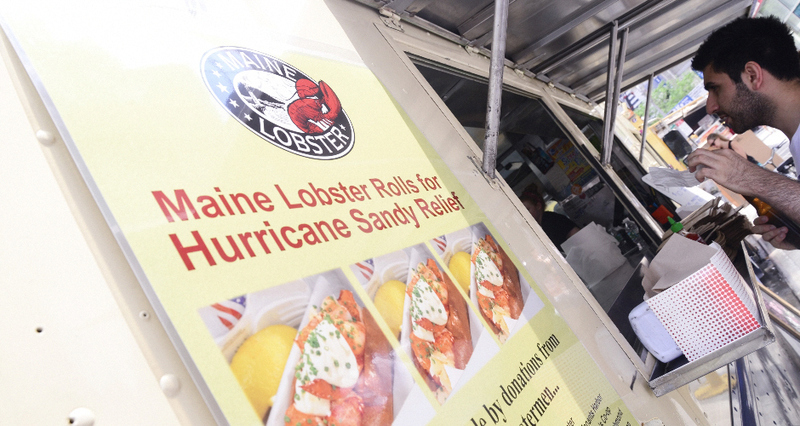 While the line drew attention to the truck, the greatest advertisement for the rolls were the clusters of people hovering around the sidewalk, shoveling the glistening lobster rolls into their mouths followed by swigs of cold soda, and beaming with satisfaction. 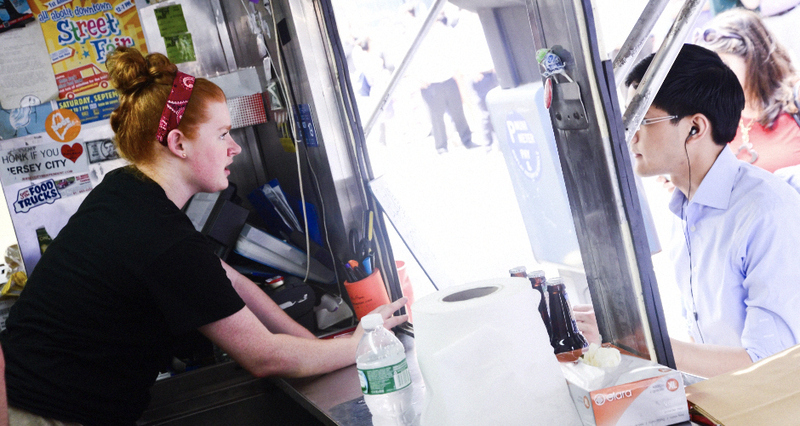 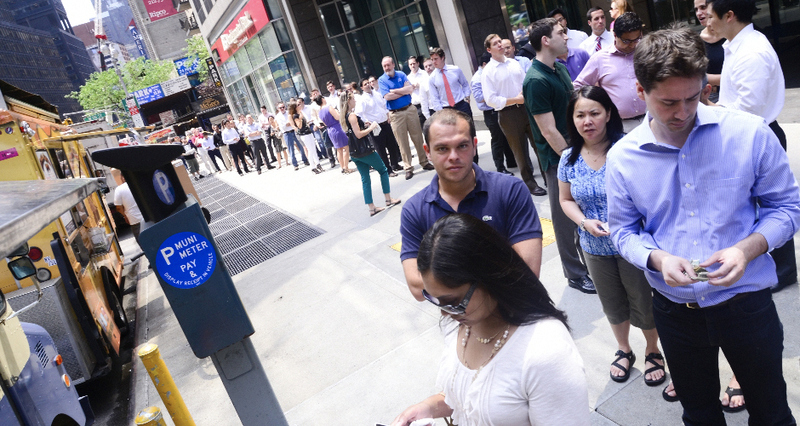 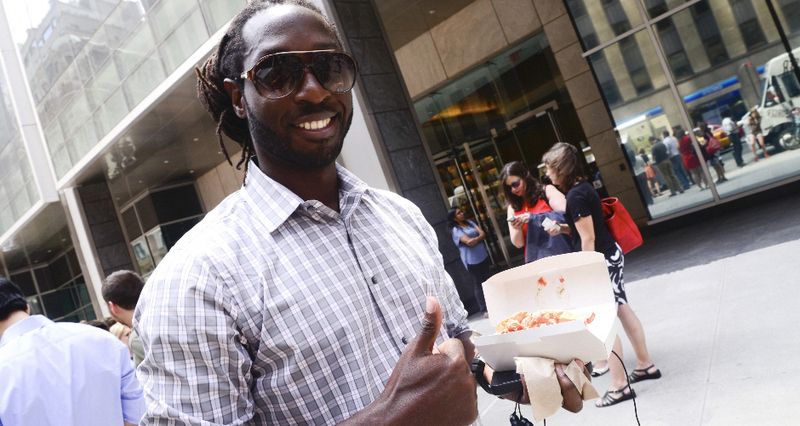 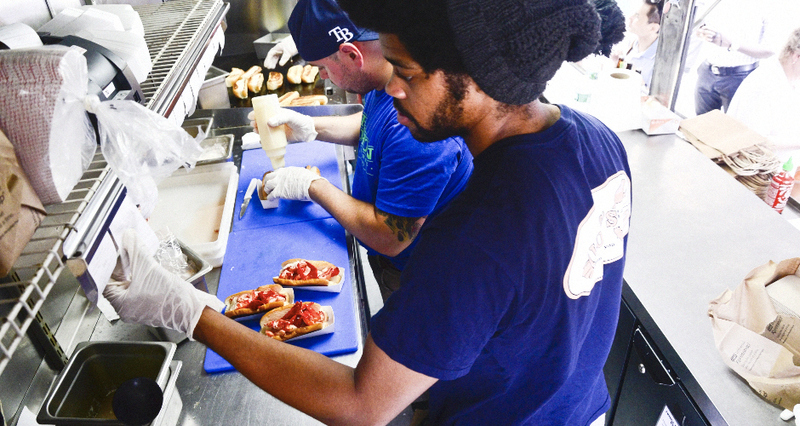 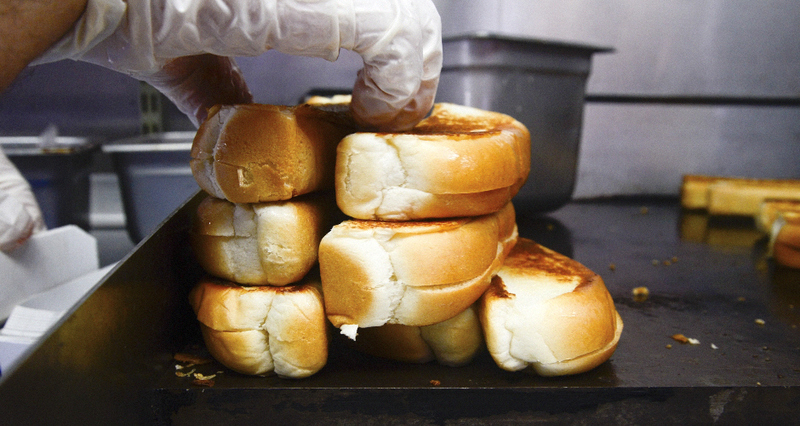 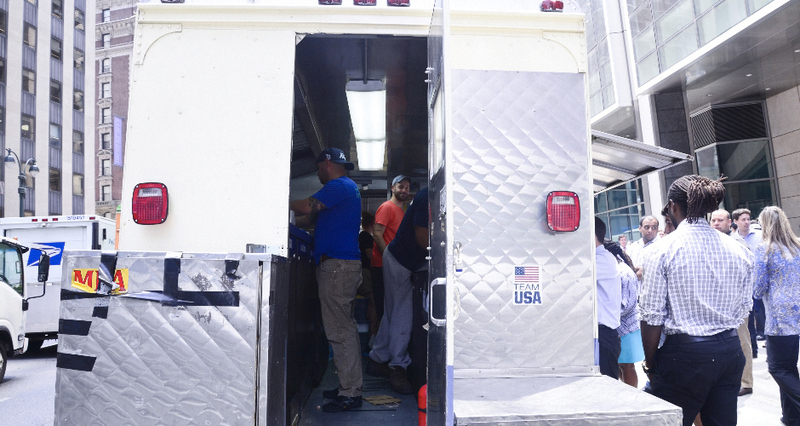 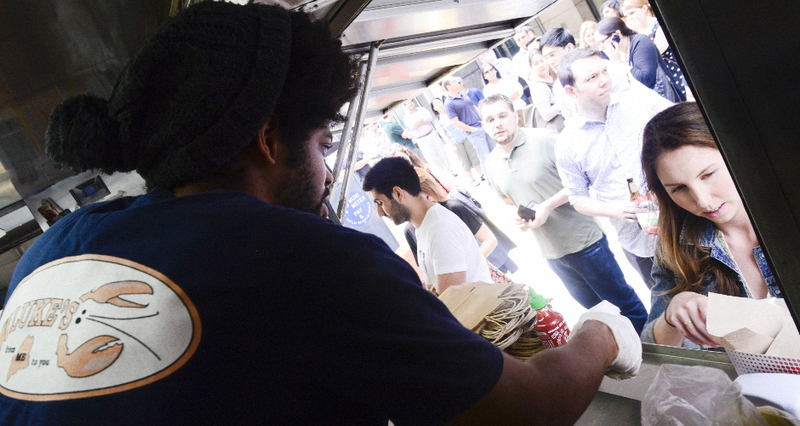 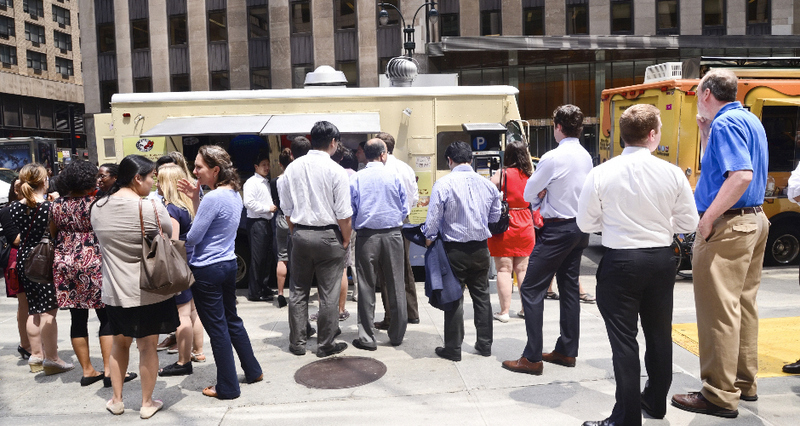 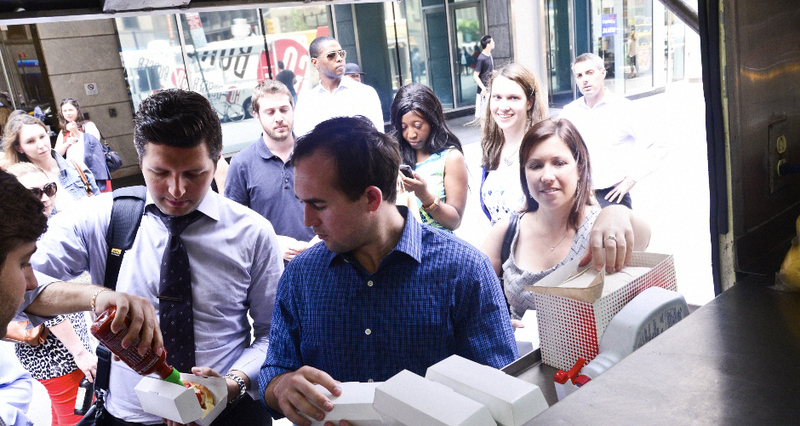 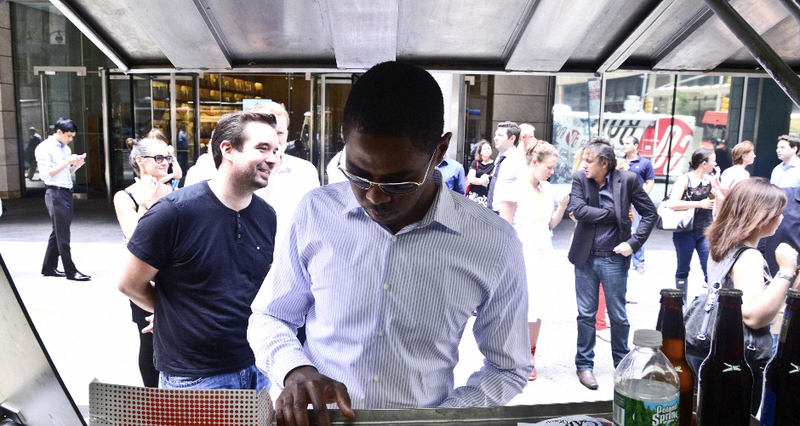 In the world of NYC food trucks, good things do come to those who wait.